This cherry blossom season (our second in Seoul) has been a bit sporadic. Last year, the blossoms bloomed en masse the first week of April. 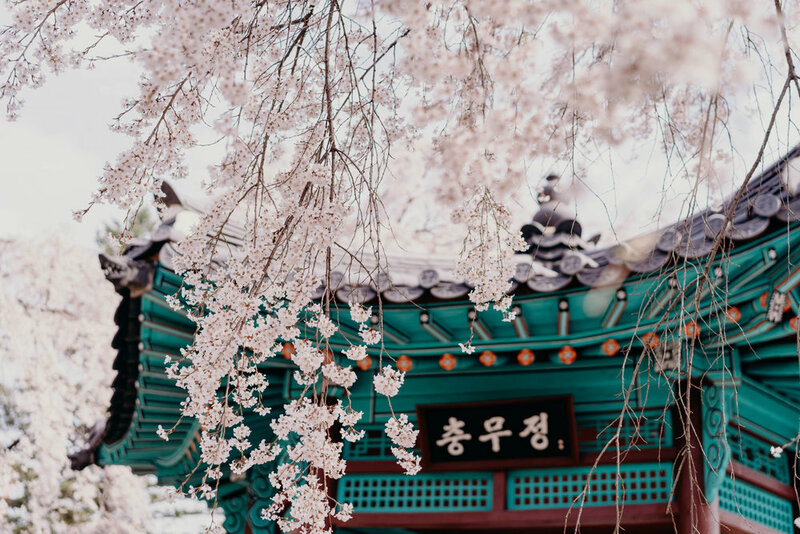 This year, there were sakura sightings as early as the beginning of March at Bongeunsa, a temple we visited our first fall, and then more popped up throughout the month at Changdeokgung and some other palaces. I started seeing them on campus at the beginning of April, but they’ve only just peaked around our neighborhood and further up north this past weekend. These photos were taken this past Saturday morning, and while they were at the beginning of their end, there were still plenty of blossoms to go around. We really should have gone to see them last Sunday, April 7, one of the clearest air days Seoul had had in a stretch, but decided to wait for peak bloom. Of course, in the interim, it rained. Relatively hard for Seoul. And for consecutive days. But still I was determined. Funny enough, we didn’t make it to Yeouido. One thing that excited me about living where we live now was our proximity to Yeouido, one of the most popular places to see the blossoms in Seoul, as it was a bit of a trek from where we lived our first year here. But a colleague friend of mine recommended Seoul National Cemetery, which she had gone to see the week before, so after a first stop at Seoul Forest, we headed south of the river. Seoul National Cemetery seemed to be never-ending, and its expansiveness is what makes it a sight to see. Despite the many cars that were parked in the lot or driving through and the many groups of mostly young families and older citizens who had arrived even earlier than we did, there was enough room to comfortably explore and shoot. If I’m being honest, I find cherry blossoms themselves to be overrated, and they especially creep me out at night. 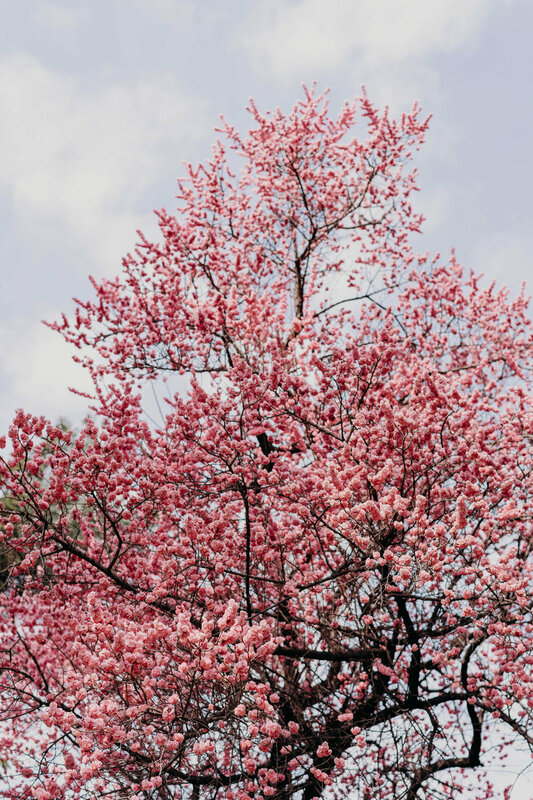 I’m drawn to pink, so there’s that, but I mostly appreciate them as a sign of spring and for their ephemerality. 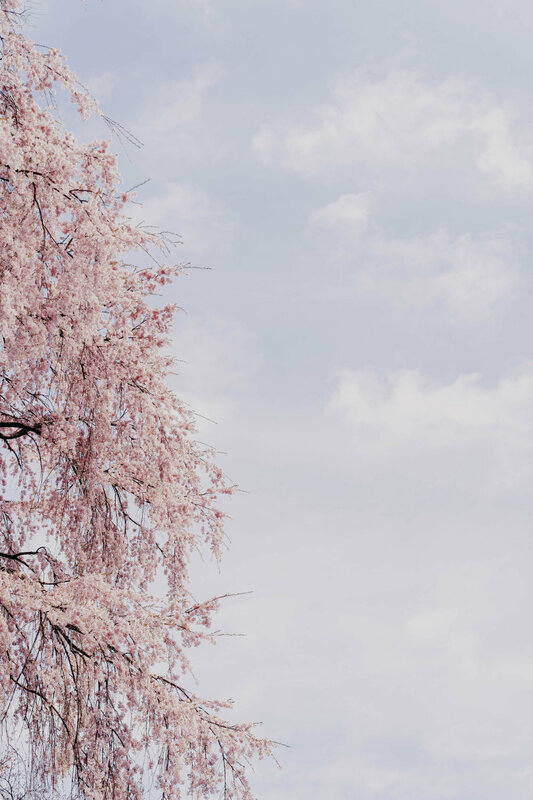 Weeping cherry trees, though, are a game-changer, and they were one of the stars of the show at the cemetery. (There were also paths lined with forsythia if yellow is more your shade.) Draped around this traditional gazebo structure and the memorials honoring the martyrs, soldiers, police officers, reserve forces, and other patriots who were buried, unfound, or unknown, they reminded me of the sadness and beauty of Korea. The star of the show was these plum blossoms. I mean come on. (Andrew described them as Seussian.) 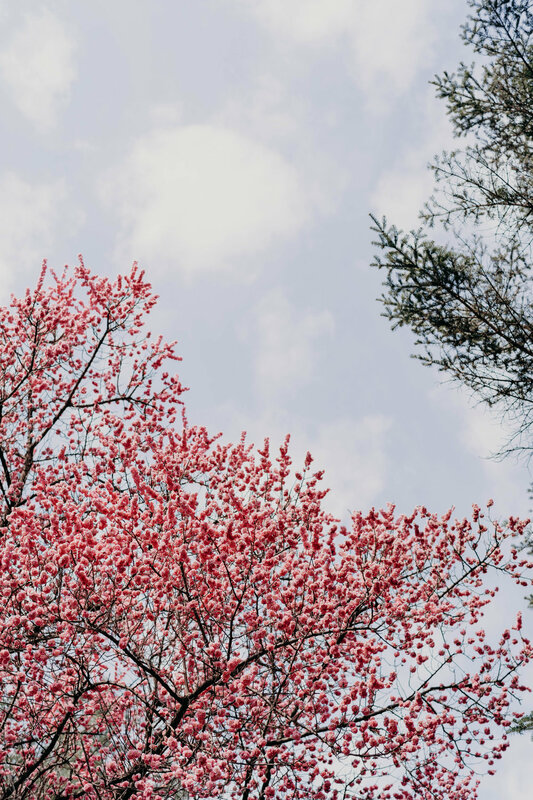 There was only one plum blossom tree on the approximately 1,430,000 square meters of land and it was the most vibrant tree of all.